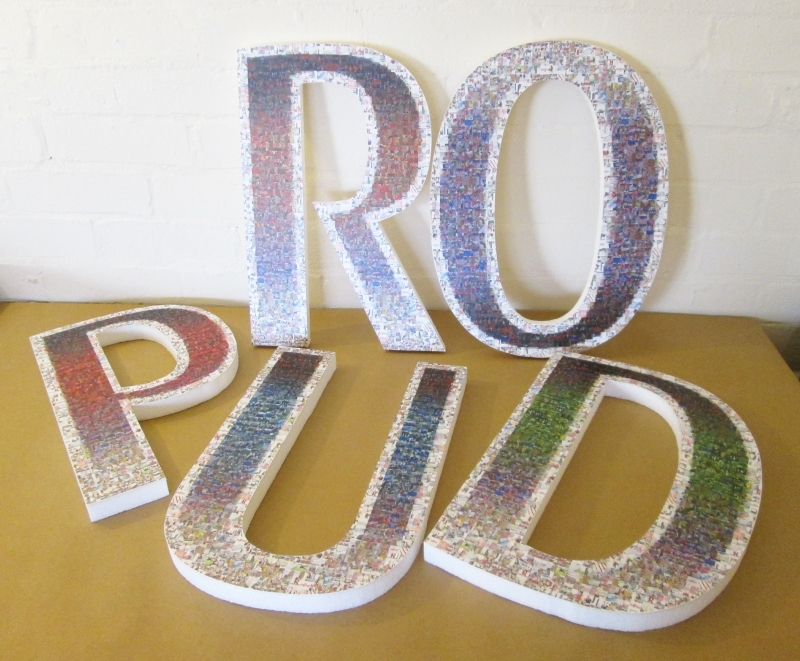 We can make the letters with a variety of finishes such as chrome faced and brushed alloy faced. Example shows brushed metal finish. the wording was ‘CANARY WHARF’. 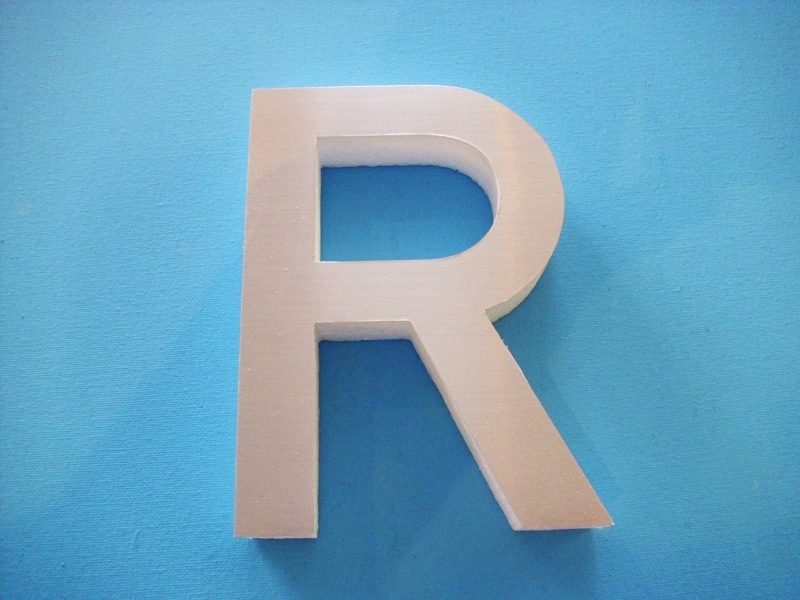 170mm high, 25mm thick, lettering was made in the customers own font. 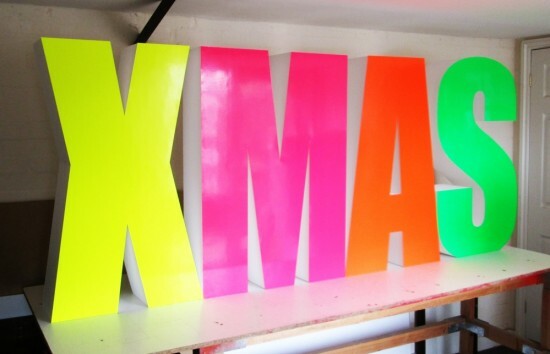 Example image below indicates a gloss vinyl coloured card on polystyrene. Vinyl Logo decals can be made into 3D logos by mounting the vinyl logos onto profile cut polystyrene to make the logo more dynamic. Digitally printed image on card onto painted polystyrene. Example of digital printed wall statement lettering. Digitally printed onto vinyl, mounted onto 1mm card and then mounted onto 25mm thick natural white polystyrene. 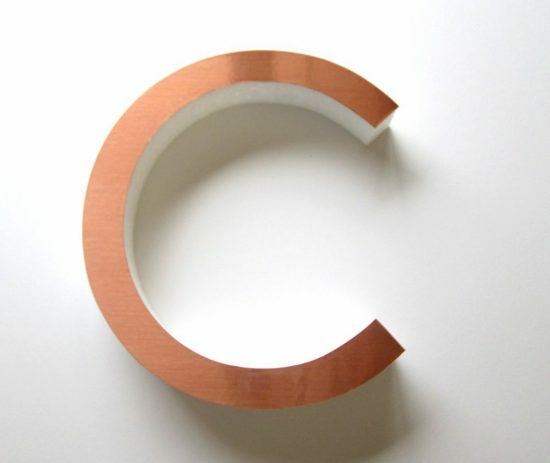 Polystyrene letters may be faced with metal foil, example below indicates a polystyrene letter with a brushed copper face. other metal foils also available such as chrome and brushed aluminium foil.